JUST ANNOUNCED! 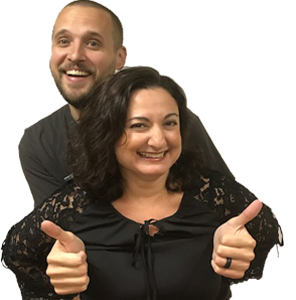 LISTEN THIS TICKET THURSDAY AT 8:20, 9:20, 3:20 & 4:20 TO WIN TICKETS! 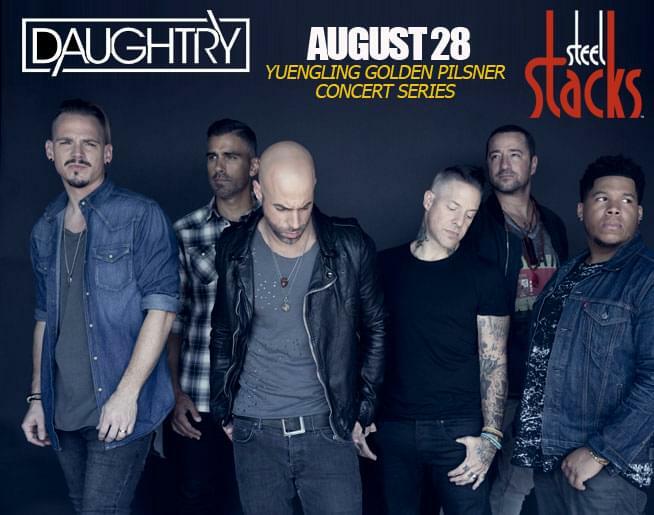 BETHLEHEM, PA–Chart-topping, platinum-selling band Daughtry, along with special guest Augustana, will rock SteelStacks when they perform at the Yuengling Golden Pilsner Concert Series Aug. 28, 7 p.m. Tickets for the performance, which takes place at Levitt Pavilion at the base of the site’s iconic blast furnaces, are $35 in advance and $39 day of show. They go on sale starting Tues., April 16, 10 a.m., to ArtsQuest Members and Fri., April 19, 10 a.m., to the public at www.musikfest.org and 610-332-3378.